As the fear-mongering continues over “young people today” watching the Fifty Shades of Grey movie, I keep waiting for the flip side of the argument to appear, but it never does. The view point most articles have taken has really irked me, as apparently, the masses are all thought to be copycat idiots. If we see “romance” depicted in a poor manner on screen in a movie, we shall follow suit and do what they do. Most articles and posts urge you to not see the movie, and stop speaking to anyone who does. Many claim that young people look up to celebrities and will think what they see on screen is how romance is done right. Where are you in your life? Are you a parent, step parent, or grandparent? Are you concerned about the teens in your family seeing a movie and acting out what they see? If you answered YES, then you may be right. Children and teens DO learn from what they see in their life about how to treat others. Two weeks after seeing a movie, the movie will be long forgotten, but how you treat your husband or wife in front of your kids may last a lifetime. Do you scream, shout, say nasty things? Do you roll your eyes in disgust at your spouse in front of your children? Movies don’t teach children what love and romance is – parents and families do. If you think your children need to see good role models of how a loving relationship should be – you are right. Be sure to BE that role model, and anything they see or read in Fiction will be nothing more than that – Fiction. 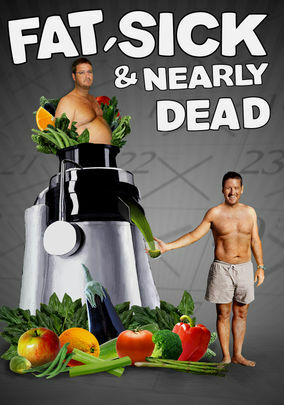 Fat, Sick & Nearly Dead 2 is now available to watch on Netflix (yay for the New Year!) and Joe Cross is back! If you’ve already watched FSND 1 (also available on Netflix), it’s a great follow up and you get to see several folks who were in the first documentary and how things are going for them now, 5 years later (Phil Staples included). There isn’t a lot to say about this one, other than it was a great reminder to “Juice” and why – but that isn’t something we’re likely to forget in our household. Fat, Sick & Nearly Dead had been recommended to me for years. YEARS. And I kept ignoring all the recommendations. I wish I had listened! We watched the movie in September, just prior to a big upcoming move – so although we were both inspired to try juicing, we knew it wasn’t the right time to try something so drastic.